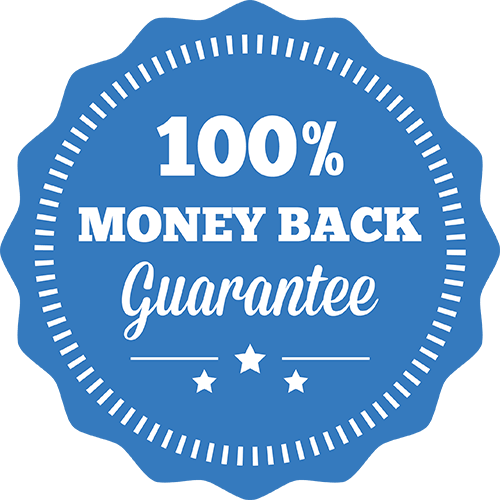 WP Education is one of the best feature rich education WordPress theme for online course, university or college powered by LearnPress LMS plugin. You might be the owner of a school, college, University or extra-curricular course Institute. You must need a relevant theme for your site. WP Education WordPress theme is the perfect choice for you. However, there are so many education-based themes are there. But you should only choose the one that suits your and has everything you need. WP Education is powered by LearnPress LMS plugin. With so many free and premium Add-Ons. XooTheme’s WP Education is a well-crafted, nicely designed and easily customizable WordPress theme for anyone who wants to build an education-based website. The theme is 100% responsive and comes with flexible options. This LMS theme has everything one can expect for their educational site. The theme is powered by LearnPress plugin. There are few advantageous options to create a free/paid course, lessons, questions, quizzes and much more. The amazing LearnPress plugin allows you to use so many free and premium features to make your usability much more awesome. This is a perfect learning management system theme you can ask for. What Features WP Education Theme has to Offer? There’re so many useful features inside this theme. Let’s check them out. LMS or learning management system is the way to manage education-based websites or blog. WP Education has fully functional LMS along with so many awesome features. There are so many add-ons to extend your usability. The theme is also very easy to customize. The theme contains WooCommerce plugin that allows you to sell your course, lessons, and eBooks online. WooCommerce integration is one of the fantastic features you can have. You’ll be able to earn or let other people earn or buy necessary courses and lessons through your site. The event calendar is the important part of this theme. As an admin or a site moderator, you can set an event calendar right from your website. Let the audience know about any specific event you are going to arrange. Visual composer is a very important plugin that adds drag and drops page builder to your site. Drag and drop option makes your page building works much easier. So, the visual composer makes WP Education management system more flexible and user-friendly. RTL or right-to-left system helps your site to detect RTL languages accordingly. So, you can use Arabic, Hebrew, and much more languages with ease. RTL is the reason your website will be able to detect the various type of languages. WP Education is a translation ready theme. It allows you to use multiple languages for different people around the world. If you target to create worldwide audience panel then this can be very helpful. So these are some notable key features of XooTheme’s WP Education. This education WordPress theme has so many other features inside. If you’re not enough pleased with the previous features then let’s go for more details. As it’s an LMS powered education WordPress theme, it has some amazing extended LMS workforce. We already know that LMS plugin plays a very important part on an educational site. How ideal is this theme as an LMS-based theme? How widespread is the extended part? LMS Course Management: It has an organized LMS plugin with various extensions. LMS course management is one of those important extensions. There’re some classified course sections, units, lessons, and quizzes. There’s a YouTube section also available. LMS Course Collection: There’s a collection LMS classified courses. You can add new courses and also customize your course collection. You can categorize different types of course by using this option. This is a very important segment. LMS Course Review: Anyone can share your thoughts, feelings, and suggestions regarding any courses available. Anyone can also rate any courses as well. So, if you’re providing good courses or lessons, then you’ll be updated through this part. Course Creation: You can create new courses through LMS plugin. There are various ways to create a user-friendly course. You’ll be able to manage your courses whenever you want. Course Manager: If you want to develop, edit or customize any of your courses, you can do all these things with ease. Question and Quiz Management: As an admin or a moderator, you can set multiple questions and quizzes with this option quite easily. As you can see that LMS plugin is really very helpful to make your educational site management much more flexible. These are the extensions of LMS plugin. To show all the LMS elements perfectly, there are well-organized shortcodes. This feature will allow you to organize all the course sliders in grid and list style whenever possible. There’re shortcodes to manage all these sliders accordingly. So, it’s useful in a sense. There’re some course instructors sliders as well. It’ll be also manageable by organizing these sliders in grid and list styles. As an instructor, it’ll be very easy for you to make your courses user-friendly whatever you’ve published. As an admin, you can keep pace with teachers and students to create their own profile. It’ll be very easy for both sides to communicate with each other. Course detail page is a crucial part. Before your student starts learning about your course, they’ll definitely come to know about the entire course briefly. So, keeping the detailed course page is important. LMS static short codes makes the entire learning management system flexible to use. One can arrange all the courses under many categories and can add specific icons to specific categories. It usually makes the course page look attractive and catchy. The course search box is based on Ajax. The well-organized shortcode makes the search process work smoothly and fast. There’re two different customized homepage variations you can use whenever you want. These pages are also easily manageable. Two theme header variations make the finest theme header. These header variations can show the name of your site clearly and exquisitely. You can add text to those headers. There are some customized login pages for students. All your students will be able to create their own profile very easily. These pages are very flexible to manage. There’re some powerful theme options available with WP Education theme. Anyone can customize and manage this theme through the admin panel. However, these options are not very hard to use. Widgets play very important role in a website. There’re tons of widgets one can use according to the necessities. There are multiple widget areas in WP Education. You can add custom widgets. Pre-content and pre-header areas are helpful for readers to choose content by looking at the summery of any content. WP Education provides pre-content and pre-header areas for better user experience. WP Education comes with an ultra-responsive design. It’s also a mobile device friendly theme. The mobile friendliness has been tested on the iOS device. So, this education WordPress theme is all set to become one of the most favorite education WordPress themes of yours. W3 valid code allows the entire theme works just fine and simple. It’s the reason one can use a theme without any harassment and obstacles. A well-commented code is the key block of a theme. As it has been told that codes are the key role players when we talk about any theme and template. Any education WordPress theme performs fast enough just because of these well-organized shortcodes. One click installation options are one great convenient feature of any education WordPress theme. A user can easily install a theme with just one click action. It makes the whole installation process very easy. So, WP Education offers the most competitive user-friendly features one can ever expect. The contact form has always been an important part of a theme. This education WordPress theme offers the latest version of contact form for all the users. So definitely the new contact form 7 plugin is just WOW! WooCommerce plugin is a renowned plugin for those who always wanted to raise a healthy business through online. 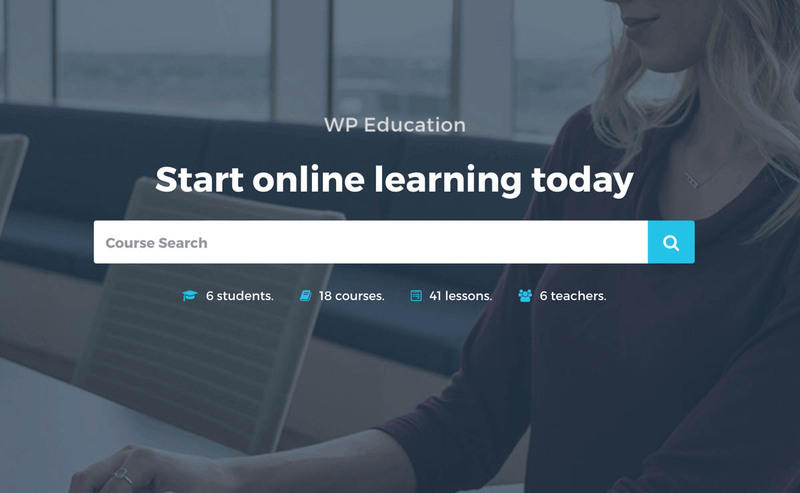 WP Education allows its user to sell courses, lessons, quizzes, questions, eBooks and various types of education-based product. So, as an admin, you can easily run your business with WP Education theme that will make you some cash for sure. The theme contains WooCommerce plugin. WooCommerce integration is one of the fantastic features you can have. You’ll be able to earn or let other people earn or buy necessary courses and lessons through your site. The event calendar is the important part of this theme. You can arrange or rearrange any promotional event or meeting quite easily. As an admin or a site moderator, you can set an event calendar right from your website. Let the audience know about any specific event you are going to arrange. RTL or right-to-left system helps your site to detect RTL languages accordingly. RTL detection system can detect any language that actually supports RTL. So, you can use Arabic, Hebrew, and much more languages with ease. RTL is the reason your website will be able to detect a various type of languages. This education WordPress theme is a translation ready theme. It allows you to use multiple languages for different people around the world. If you target to create worldwide audience panel then this can be very helpful. There’re so many users out there who are not expert in coding and theme installation. However, WP Education the theme anyone can use with ease. It’s totally user-friendly theme and absolutely easy to manage for those who never used such themes. The user manual is quite smooth and easy to follow. WP Education has included one of the most convenient child theme plugin. This education WordPress theme supports all the browser available. Cross browser compatibility allows anyone to use any theme in any browser possible. So, this features is definitely user-friendly. This is the most crucial part of anything. If you face any problem without theme just let us know. Our dedicated customer support team is always ready to solve your issues. No matter whatever the problem is and whenever you face it, you’ll get instant reply from our support team in no time. So, WP Education is the education WordPress theme you should definitely give a try. It’ll surely give you the best user experience with a very responsive user interface. LearnPress course enroll error fixed. LearnPress v 2.1.7.1 support added. WooCommerce v 3.1.1 support added. Page title area background image form page feature image. Small issue fixed in the single lesson page. LearnPress old template file removed and WooCommerce 3.0 new gallery and zoom support added. Added support of latest version LearnPress and WooCommerce plugins.